Three stunning young cheetahs rescued from criminal wildlife traders are walking on the wild side in their new digs at a sanctuary. The three females arrived at the Born Free Foundation rescue center in Ethiopia on April 5, after being confiscated near the Somali border, representative Victoria Lockwood told The Dodo. 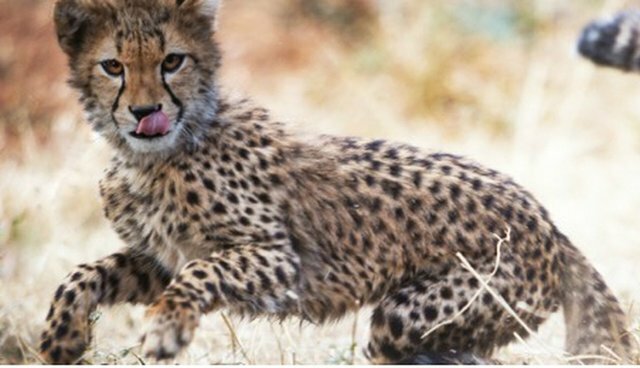 "Cheetah cubs are snatched at a very young age from the wild, with up to 70% of these cubs found dead during confiscations," Adam M. Roberts, the organization's CEO, said in a statement. 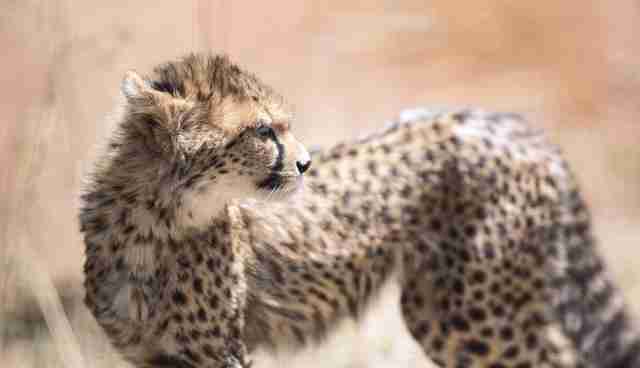 The animals who survive are often sold into the booming exotic pet trade in the Middle East. 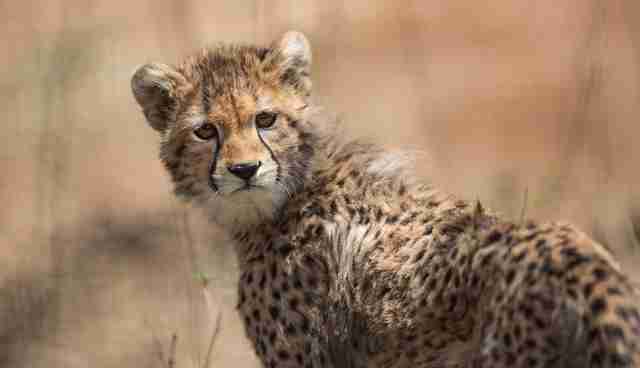 "The illegal trade in cheetah is nothing short of alarming," Dr. Zelealem Tefera, who helped orchestrate the rescue, said in a statement. "It has to stop." 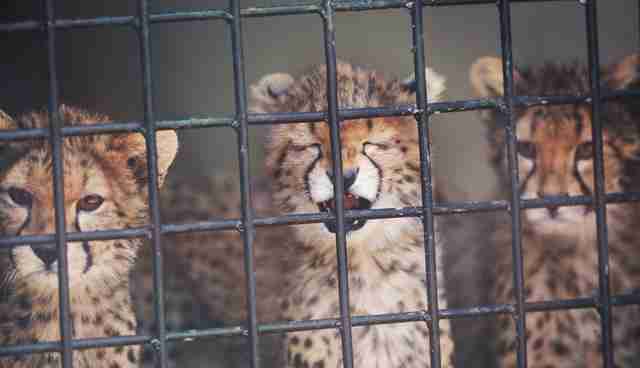 This bloody black market is chipping away at the tenuous cheetah population in the Horn of Africa. 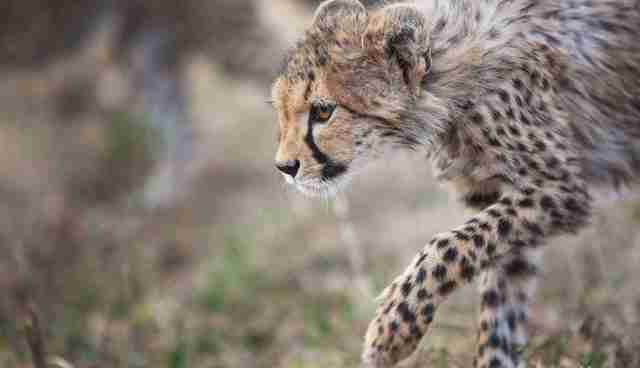 Today, fewer than 15,000 cheetahs remain in the African wilds, reports the World Conservation Society's website. 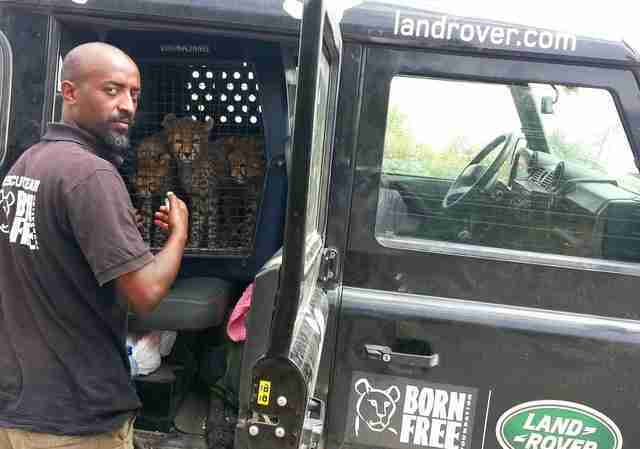 Thankfully, these three cubs were "saved from a life of no doubt horrible conditions, to be used as status symbols and peoples' entertainment," Stuart Robertson, the Born Free Foundation's animal care manager in Ethiopia, told The Dodo. The wildcats are now flexing their feline wiles - romping and playing in their new home. "Every day they show us just how athletic and playful they are," he said. 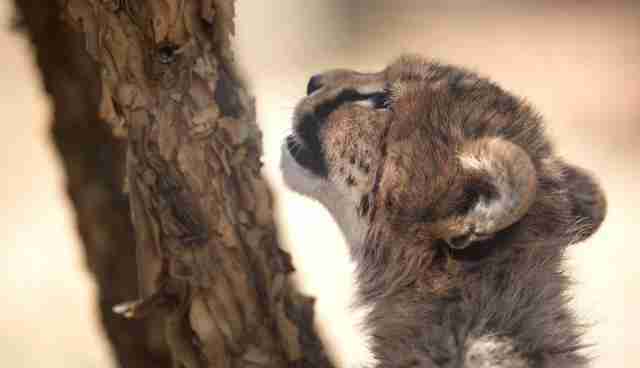 Click here to help the Born Free Foundation in the race against cheetah extinction.